Moments with the Mays: when am i too old for mtv? I've been hooked on MTV since I was in 4th grade. I vividly remember being at a friend's house and watching The Real World:San Francisco which aired in 1994. 1994! Holy cow...that was a long time ago. You know, the season with Puck? He was pretty unforgettable. The past few seasons have been terrible, but this cast is ha-larious. It's the perfect storm: 8 off-the-wall personalities during the craziest time of the year in one of the craziest cities...makes for great television. The best part? Jemmye. The southern girl with the voice that sounds a bit like nails on a chalkboard. Covered in tats...one being..um, unseen. When I realized she was from Mississippi I cringed. Why they gotta make the Mississippi girl look like trash?? THEN I realized she lives in Starkville...and I laughed. Please watch this season if for no other reason than to laugh your tail off at Jemmye. I promise...she is worth it. I was SO excited about the Hills finale this week...I was all caught up in the frama...ya know, fake drama...and was so hoping to see Speidi in all their craziness. EPIC FAIL. The finale was t e r r i b l e. oh, and Heidi looks like catwoman these days. Creeptastic! ...and I never got a final glance as this whacko! 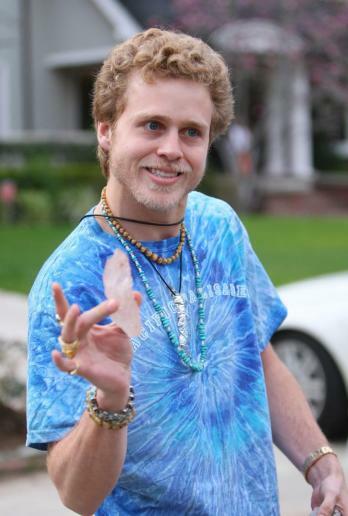 Crystal-bearing Spencer, how I love you. You are like a terrible trainwreck that I can't keep my eyes off of. Anyone else have a guilty pleasure on mtv? I watched the Hills up until this season then was disappointed..poor Heidi..she looks plastic.